Personal Details: Ron was the son of Wilfred Herbert Rimmer and Elizabeth Rimmer (nee Theobald). He grew up in the remote farming district of Manawahe in the Bay of Plenty where his father was a farmer and rural delivery mail run driver. The family used to update their car every few years due to wear it received on the rural roads doing many miles on the delivery runs and in keeping the vehicles running over the years Ron learned a lot about mechanical engineering. Ron's schooling was done by correspondence due to the remote nature of where he lived. He had two much younger sisters, Jocelyn and Marie. 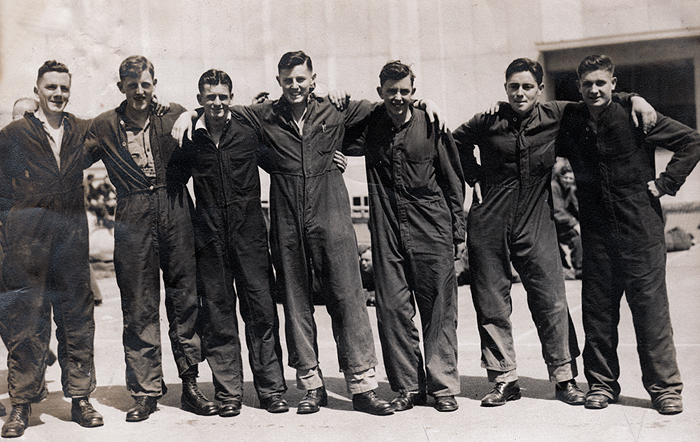 After the war Ron stayed in the RNZAF for a while, and when he was finally demobbed he came to Cambridge and started working as a motor mechanic with Wilkinsons Garage. He then moved to the Brown Brothers (Shell) where he completed his training and gained his motor mechanic's certificate. He worked for a time at Cambridge Transport and for Waikato Motors too, and then spent several years with Ross Todd Motors, during which time he was involved in installing heaters into ex-Pacific war surplus trucks at Murupara. When his father opened Central Motors, behind the Central Hotel in Cambridge, Ron began working there. This business relocated to Leamington later. Ron decided he wanted to become a teacher in the late 1950's and he went to Wellington to train as a teacher. He then returned to Cambridge and spent a year teaching at Cambridge East Primary School before transferring to Cambridge Intermediate Scool where he taught for two more years. In 1960 he then moved to Leamington School where he eventually became Deputy Principal. His last teaching position before his retirement in 1987 was a couple of years with Cambridge Primary School. Ron had a child, Keith Rimmer from his first marriage, which eventually dissolved. Later he remarried, to Heather in 1959. Heather and Ron adopted Joy, Linda, Alan, Murray (who died at 15 months) and Gill, and the permanently fostered brother and sister Tony and Kathleen. Service Details: Ron had hoped to join the RNZAF as a memebr of aircrew and before entering the Air Force he'd undergone a course by correspondence, and also had learned Morse code. However a medical examination revealed a double-hernia and so he inelligible for service as aircrew and was forced to settle on becoming a Flight Mechanic. Upon entering the RNZAF at the age of 18, Ron was first sent to RNZAF The Delta near Blenheim to undergo his initial training. He was then posted to RNZAF Station Rongotai where he trained as a Fitter initially. He served at RNZAF Station Whenuapai, RNZAF Station Tauranga, RNZAF Station Hamilton (Central) at No. 1 Repair Depot during the war. At the Repair Depot he was working on the line that overhaulled Bristol Pegasus engines from the Short Sunderland and Supermarine Walrus flying boats. As the war ended he was posted to RNZAF Station Rukuhia (now Hamilton Airport). He was initially still living in town at RNZAF Station Hamilton but soon moved into the RNZAF huts at The Narrows. His role at this stage after the war ended was to start and run the hundreds of stored fighter aircraft, Kittyhawks and Corsairs, at Rukuhia. The aircraft were run daily to keep them in prime condition. 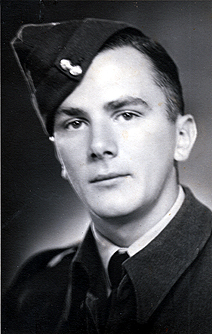 Connection with Cambridge: Ron moved to Cambridge immediately after his RNZAF service, living in the town for most of the rest of his life, and dying here in 1995. Thanks To: Ron's widow Heather Bongers for her assistance with information on this page. 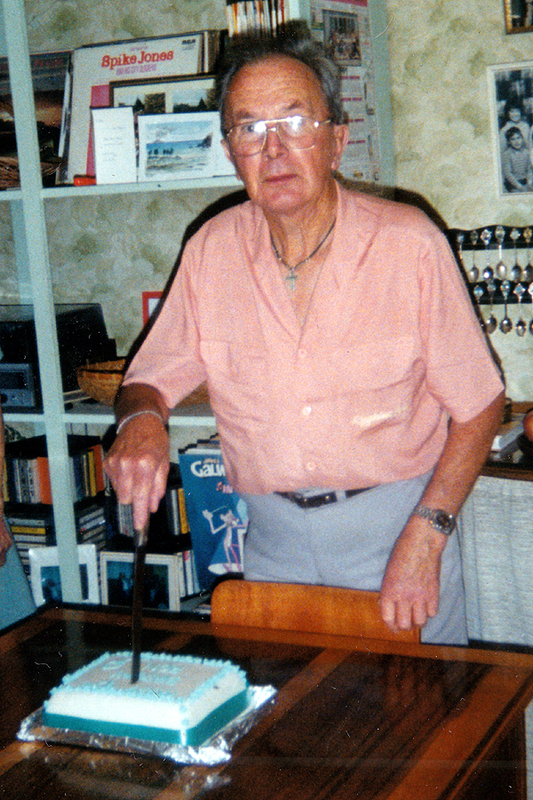 One of the last photos of Ron, taken on his 70th birthday.